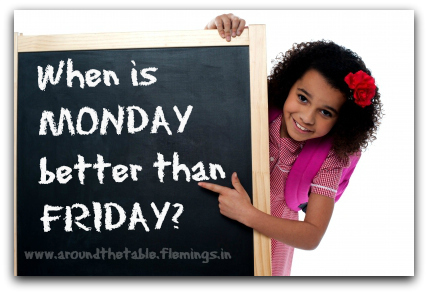 Around the Table Book: When is Monday better than Friday? When is Monday better than Friday? When my children were young I used to put a little note in their lunch every day. How I had the time and energy, I do not know! But I do remember that coming up with something to say every day was a challenge. 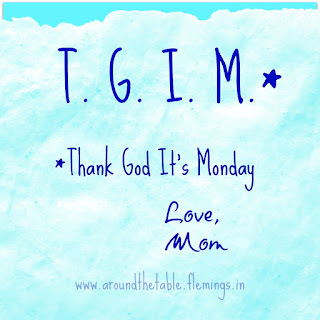 I did that because I was always excited to start a new week, to see what would be in the week. To see what God would do. To learn, plan, or do something new! 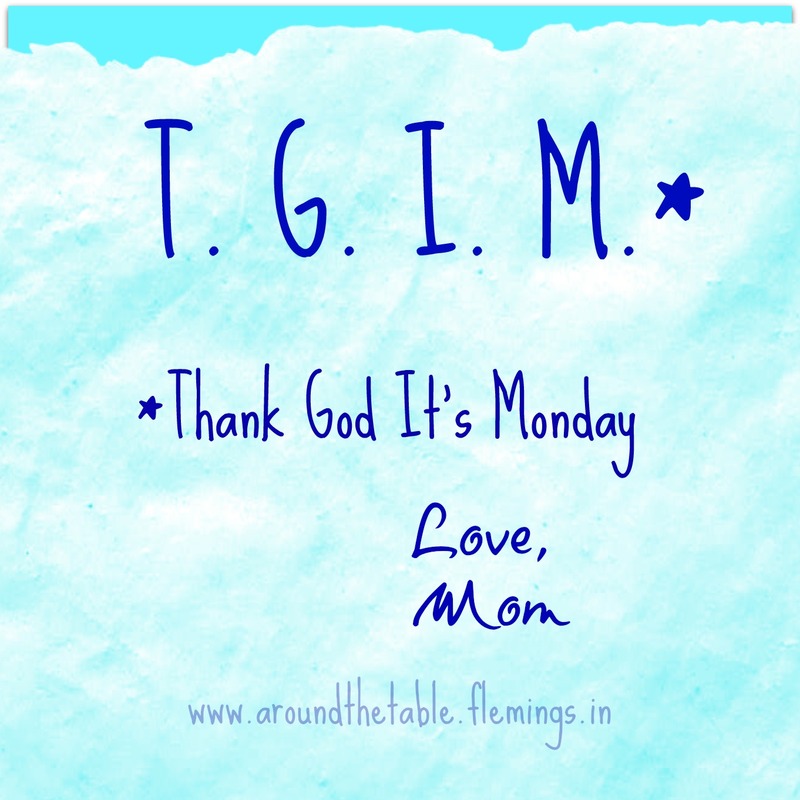 Weekends are fun--and necessary--but real life is mostly what happens Monday through Friday. I wanted them to learn to appreciate the daily life that isn't necessarily what we want to do, but it is life. And when we have an expectant attitude we can learn. So, is that when Monday is better than Friday? No, that's not what I meant completely. You see, Friday is only two days away from Sunday and there's not a lot of time to plan for this most important day of the week. If you want clean clothes for church on Sunday, don't wait till Saturday night. If you teach a Sunday School class, preparations can't begin on Friday. If you want a special Sunday "dinner" (the midday meal), Friday isn't the best day to plan it. If you are looking for volunteers for the church nursery, you'd better start calling earlier in the week. If you want to truly worship God from your whole heart, you need to be talking to Him all seven days. Monday is better than Friday because you have time to plan ahead, for the whole week and for Sunday. In fact, I think working backwards is the best way to get ready for Sunday, or any day! 8:40 Begin making breakfast; you need 30 minutes to shower, dress, do hair and make up and 30 minutes to dress the children therefore.. 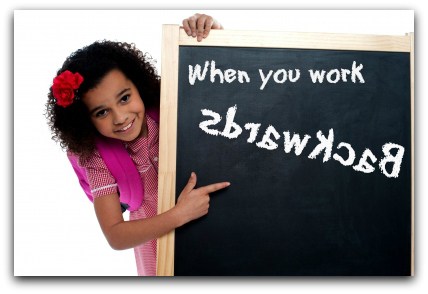 Working backwards works for everything you need to do. 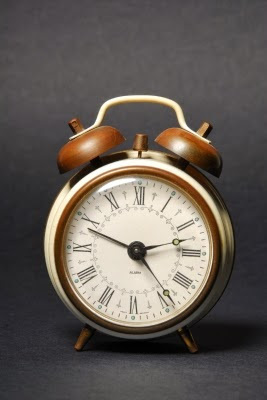 If you allow enough time, you are never rushing out the door at the last minute and driving too fast and recklessly to get somewhere out of breath and in a fluster having left your lunch and phone sitting on the counter! I wish I could say that I always work backwards like clockwork, but I don't . However, whenever I do, things go so much more smoothly. So when I do laundry on Monday so that I will have clean clothes on Sunday, that's when Monday is better than Friday. 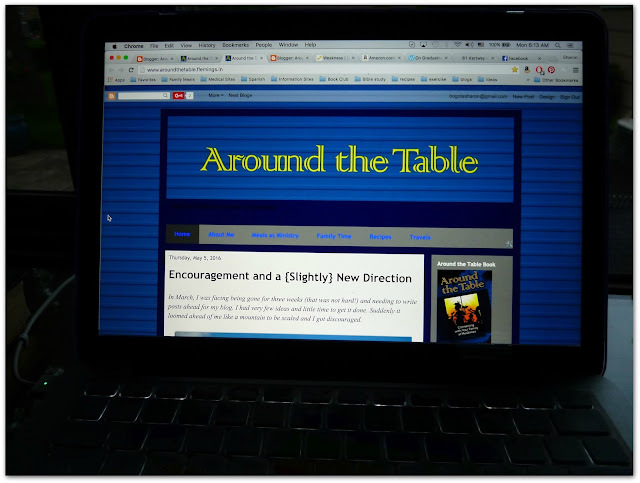 Did you notice the new look of my blog? My son helped me set it up to look less cluttered and more modern. I'm excited about the look and the change! I feel like it has given me a fresh set of ideas so keep coming back to read and tell your friends about it. I want to inspire you to have more happy, connected family time. If you have ideas, or even want to write for this blog, please let me know! In case you forgot what the original design looked like here's the only copy! like the look of your blog. and your basic premise: there can't be too much positive communication with our kids--grown or otherwise. Thanks! I hope it helps families connect! Great post packed with lots of good advice! Sometimes the simplest things turn out to be so practical! I think most of us need to work on that! To Talk or To Serve?